Faker survived the roster changes, of course. 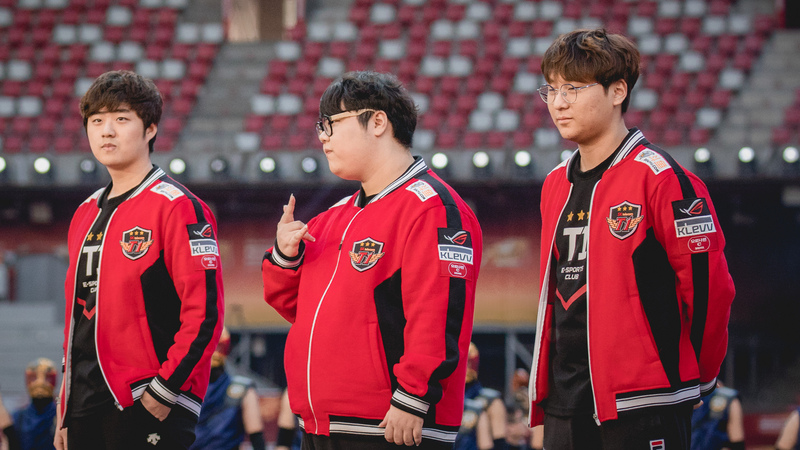 After an underwhelming 2018 season, SK Telecom T1 has decided to make drastic changes to its League of Legends roster. Former world champions Kang “Blank” Sun-gu, Bae “Bang” Jun-sik, and Lee “Wolf” Jae-wan have all been released by SKT, the organization announced earlier today. This ends Bang and Wolf’s five-year stint with SKT—they first joined the team in October 2013. Blank, on the other hand, started competing with SKT in 2016. Although these are the most notable players who were released by SKT, the organization cut several other players, too. Top laners Park “Thal” Kwon-hyuk and Park “Untara” Ui-jin, jungler Park “Blossom” Beom-chan, and mid laner Choi “Pirean” Jun-sik were also released and are now free agents. This means that star mid laner Lee “Faker” Sang-hyeok, ADC Han “Leo” Gyeo-re, and support Lee “Effort” Sang-ho are the only current players on SKT’s roster for the upcoming season. For an organizations that has three world championships, missing out of Worlds 2018 was clearly unacceptable for SKT. Now, fans of this organization will have to wait and see who’s signed to fill the many vacant spots on SKT’s roster. Former SKT jungler Han “Peanut” Wang-ho is reportedly among the players the organization is scouting heading into the upcoming season. Peanut was on SKT in 2017 when they won MSI and lost to Samsung Galaxy in the finals at Worlds. He was just released by KINGZONE DragonX earlier today. This is clearly the start of a new era for SKT, and many fans of the team will be interested to see where the former world champions go from here.